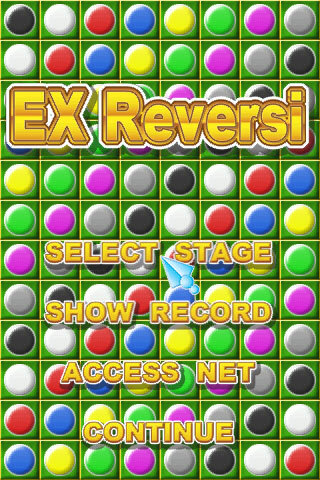 Please download "EX Reversi" form the Android Market. You can play 50 official stages and upload your record and playing log. You can access internet and can download user's stages. 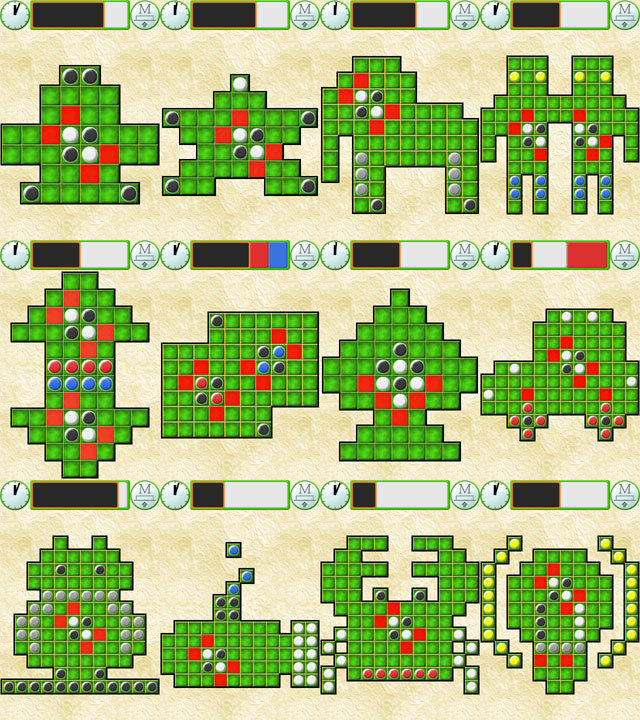 You can make original stages. Cool music and Cool Effect ! 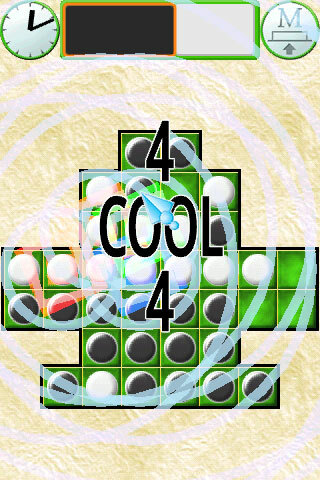 You can play swinging reversi game. There is 50 official stages. 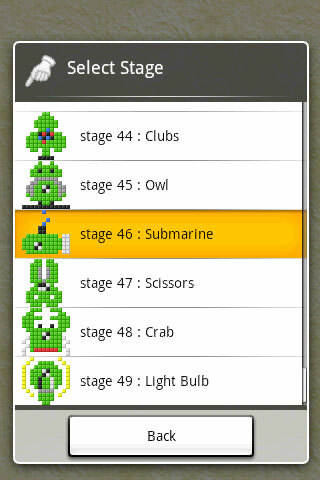 If you download user made stage, you can get more stages. I choose 12 boards from 50 official boards. Not only the black and white but also tokens have various colors. The enemy might not be one person. The enemy has two or more cases. If you hope for more screen shots, Please look at the explanation. Special Boards - 50 official stages. Ranking - You can upload your score on the web. Playing Log - You can upload your playing log on the web. You can view your log and others log. Making Stages - You can make original stages and upload that. You can download your stages and others stages. Difficulty - You can change computer's thinking ability. Player Type - You can change player type. Player V.S. Computer. Player V.S. Player. I prepared the explanation using youtube. After you see the movie for three minutes, you understand this software. I prepared an English document and a Japanese document. You can see favorite one.